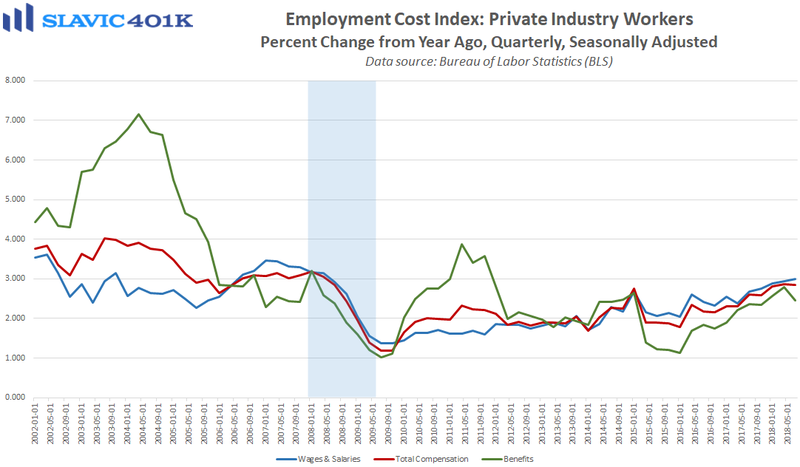 Wholesale inflation pressures continued to cool last month, according to new data from the Bureau of Labor Statistics (BLS). 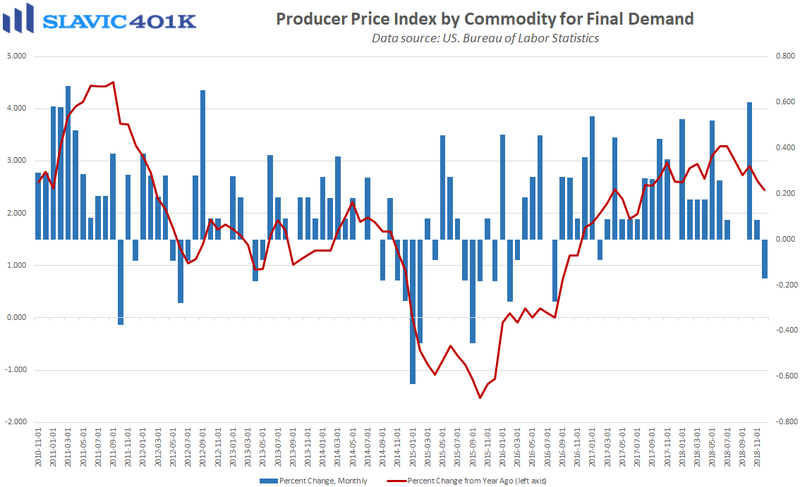 Specifically, the producer price index (PPI) for final demand fell by 0.2 percent in December, the largest drop since August 2016. A 5.4 percent decrease in energy costs, led by a 13.1 percent plunge in gasoline prices, more than offset the 2.6 percent rise in food costs. 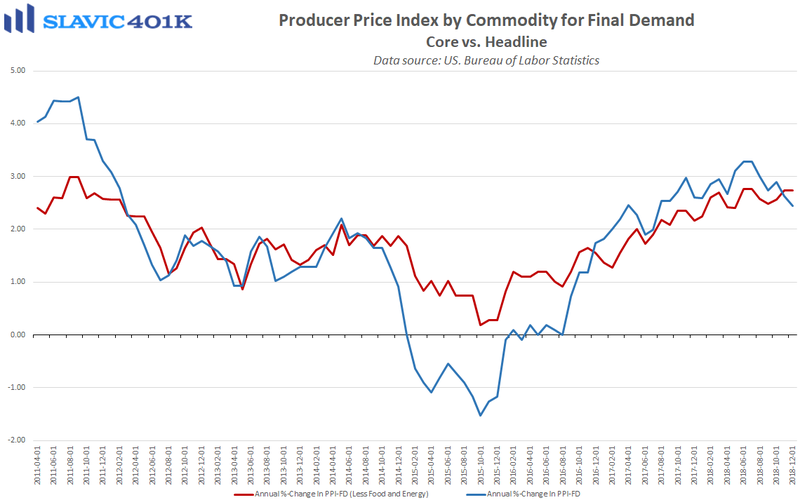 However, even core PPI, which excludes these volatile components, still fell by 0.1 percent in December. That is well below the 0.2 percent gain analysts anticipated and the first monthly decline in a year. 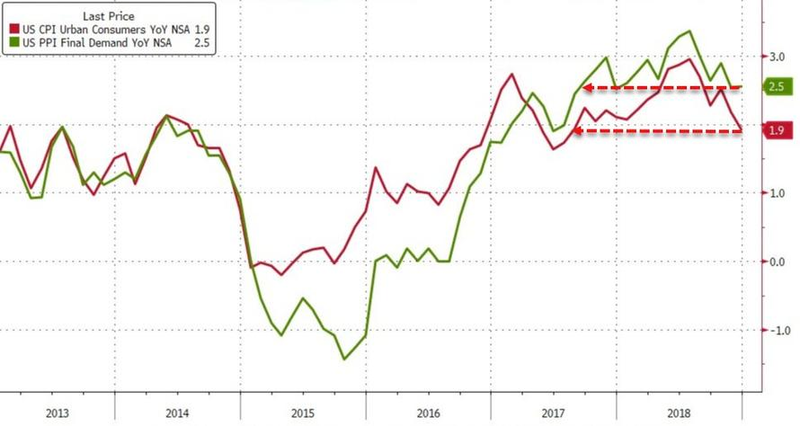 The annual rates of growth in both headline and core PPI also came in below estimates, and overall this report agrees with the stabilization seen in last week’s data on household price pressures. In the near-term the moderation in inflation will help officials at the Federal Reserve justify their recent shift to a more patient, data-driven approach for raising interest rates. 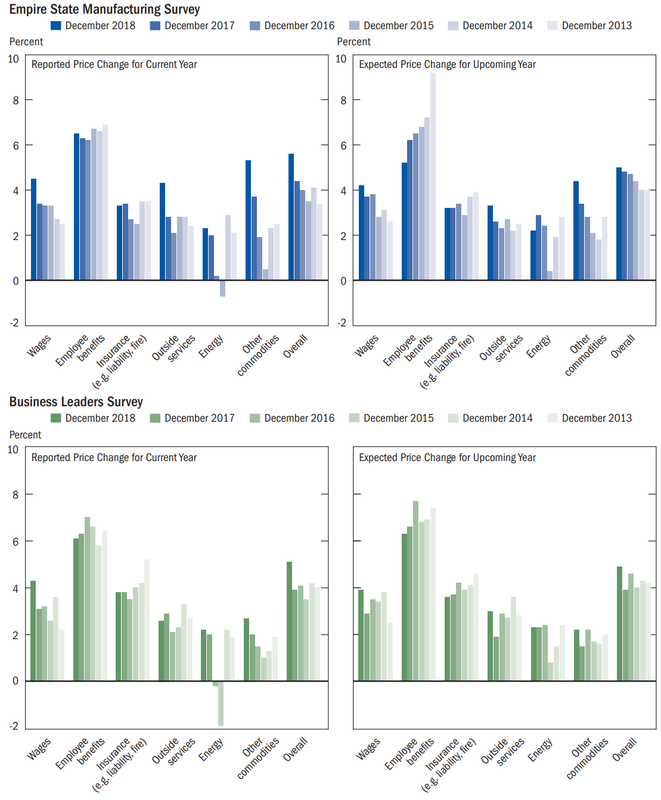 It is possible that the trend will continue throughout 2019, and a new survey conducted by the Federal Reserve Bank of New York showed that business leaders on average expect prices paid to rise at a slower rate in the year ahead. Interestingly, worker compensation is one of main drivers of input cost inflation, but surveyed executives revealed that wages have played a rapidly increasing role in recent years, whereas the rise in benefits expenses has gradually eased. A possible explanation for this is that companies often rely a lot more on benefits for talent acquisition and retention during and immediately after a recession since doing so can help reduce costs and incentivize continued work. *Note: Today’s scheduled release of the December retail sales data from the Census Bureau will join the growing list of important economic reports being delayed as a result of the government shutdown.